A staggering 20 terabytes of data was used by Three customers at this year’s Electric Picnic, an increase of 122% on data used at the festival in 2016. 20 terabytes of data is the equivalent of uploading 13.8 million images to Instagram, sending over one billion Whatsapp messages or watching the All-Ireland Hurling Final 25,400 times. The calculations were based on the average WhatsApp is .02MB, and the average image uploaded to Instagram is 1.5MB. As a proud sponsor of Electric Picnic, Three Ireland enabled this huge surge in data usage by building bespoke network towers equipped with 2G, 3G and 4G at Stradbally Hall, so festivalgoers could share every moment of the event. Elaine Carey, Chief Commercial Officer at Three commented: “Three prides itself on bringing its customers the biggest and best live music experiences, and we were delighted to bring additional masts to the event and camping areas of Electric Picnic again this year to provide our customers with the best network experience. We understand that our customers love to document their festival experiences online and as Ireland’s only provider of All You Can Eat Data and free 4G, we’re enabling them to capture and share every moment”. Three’s unique festival activation, 3Disco, also connected picnickers to what matters most – great music and experiences, powered by Three. 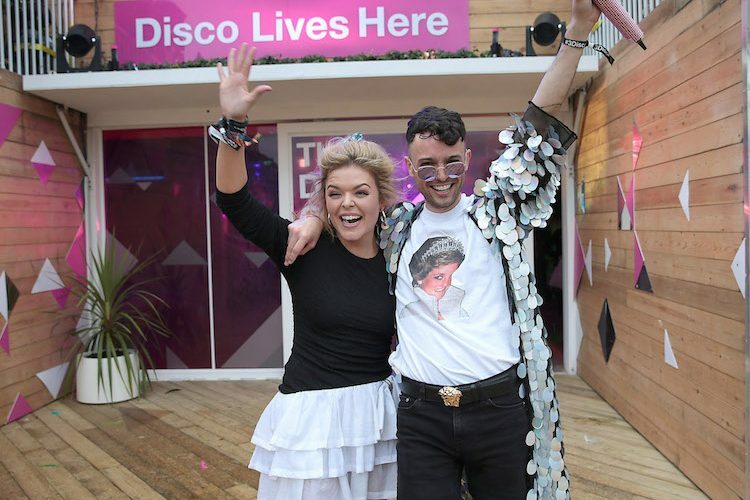 It offered a jam-packed schedule including DJ sets, roller disco performances and a lip-sync showdown between Snapchat star James Kavanagh and radio broadcaster Doireann Garrihy. It also provided onsite charging facilities at 3Charging as well as portable power-banks so festival goers were always connected.